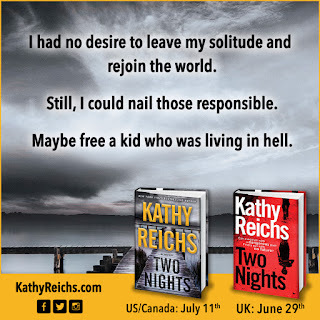 Many thanks to Penguin-Random House and NetGalley for the ARC Kindle e-book of Two Nights by Kathy Reichs. A longtime voracious reader, I understand how hard it is for an author, especially a more-than-qualified female author to write something "different." I went into this book without pre-conceived notions and yes it is different than the Temperance novels, but Sunday; this STRONG FEMALE who has been through trauma and hell spoke directly to my wounded spirit. Her choice of isolation also had a clarion call of kinship. If you are wanting a book to be a different slant on Temperance Brennan to move along. 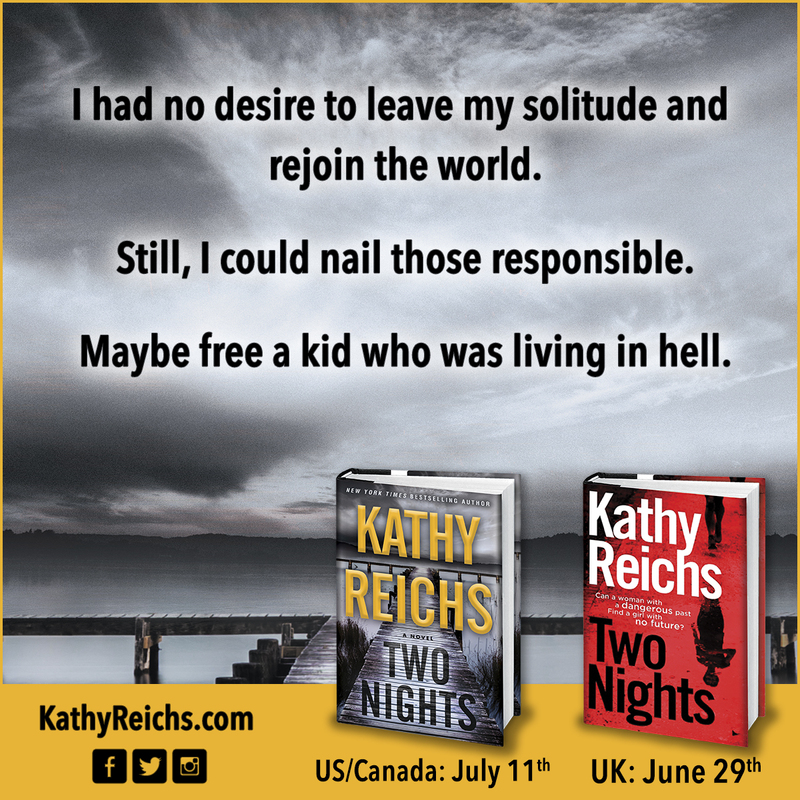 If you are a woman who is a wounded warrior of whatever type of war you have faced, read "Two Nights." I suspect protagonist "Sunday Night" will never be accused of behaving like a lady, and Kathy Reich muse brought this amazing character into being, and I for one will never question a muse.